Bone-chilling books for a horrifying Halloween! Join us on Thursday, December 1st at 7:00 pm for an evening of experimental poetry & fiction with BookThug & the CEP. Concordia’s Centre for Expanded Poetics presents an evening of experimental poetry & fiction featuring BookThug authors Mat Laporte & Moez Surani, who will be launching their new books RATS NEST and OPERATIONS in Montreal. 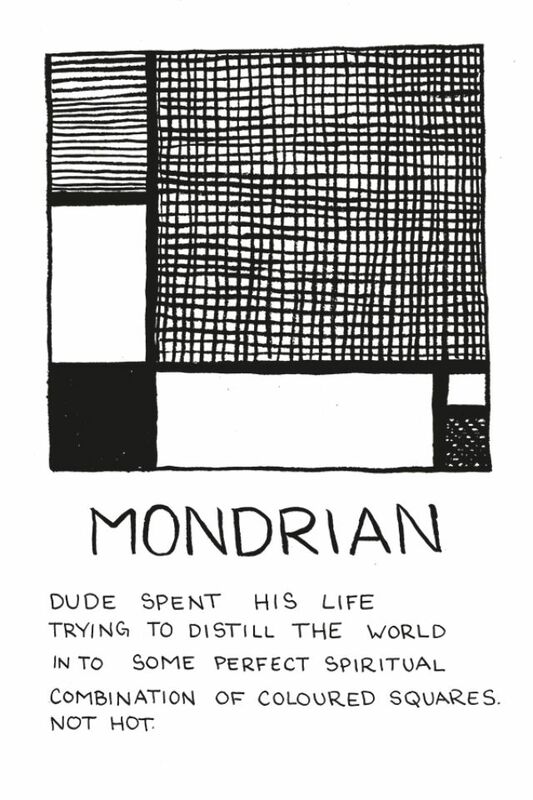 Accompanying Moez & Mat on stage will be Montreal poet Jes Dolan. 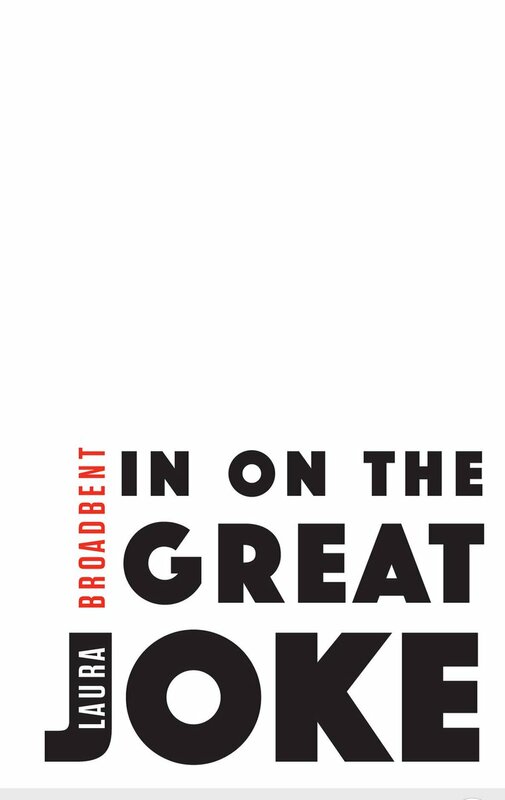 This event will be hosted by the CEP’s JESSICA BEBENEK, who will also be moderating a little Q&A on stage after the readings. ➥ MOEZ SURANI has travelled, studied, and worked in countries around the world. His writing has been featured in numerous publications, including Best Canadian Poetry, The Walrus, The Globe and Mail, Harper’s Magazine, and PRISM International.ةيلمع OPERACIÓN OPÉRATION OPERATION OПЕРАЦИЯ (BookThug, 2016), his third book, borrows the language of military operations to create a text that's both "absurdly funny" and "darkly unsettling." 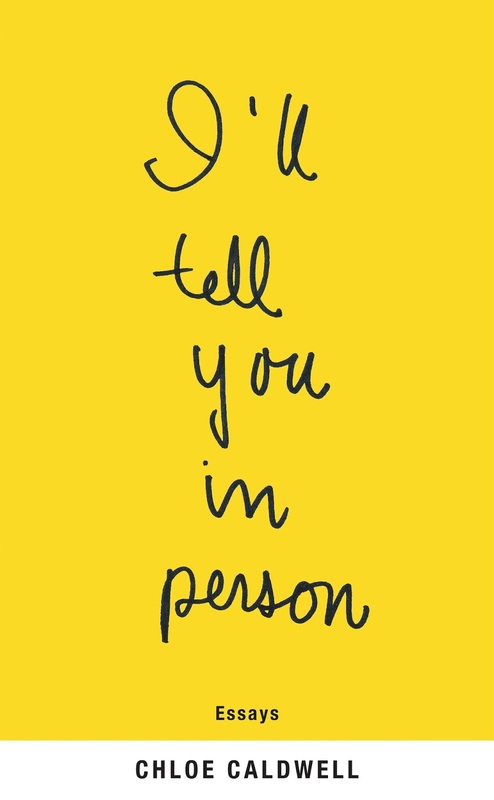 ➥ MAT LAPORTE is a Toronto-based writer and co-founder of the micro-press Ferno House. He’s the author of several poetry chapbook, including Life Savings, which was nominated for the 2013 bpNichol Chapbook Award. RATS NEST (BookThug, 2016), his first full-length book, was described as a "cyberpunk diary" and "a gorgeous horror." ➥ JES DOLAN is currently in the MA program at Concordia University chasing down a degree in Creative Writing. Her professional experience in front-line services for people living with HIV/AIDS and HepC, as well as her personal experience of queerness and transience inform her politic and subsequently her interest in creating poetic and academic works that reach beyond the boundaries of the institution and return energy, funding, and attention to communities often mined for their narratives and experience. 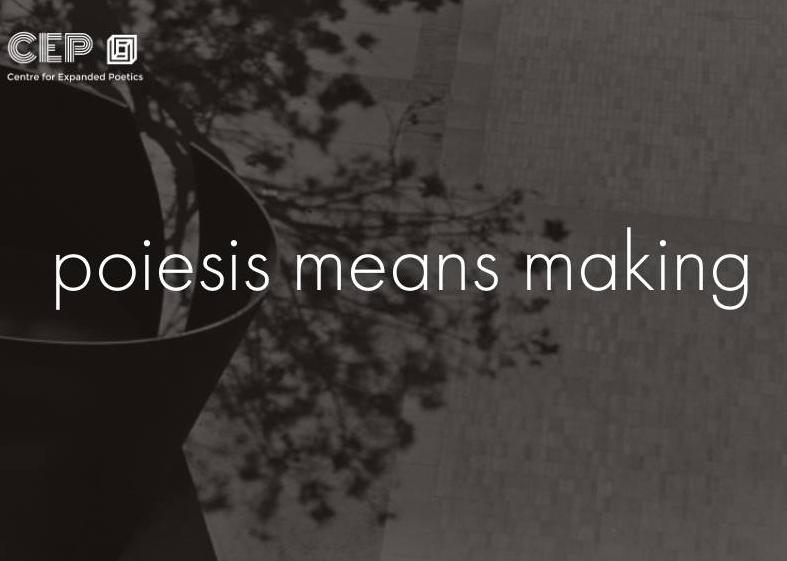 The Centre for Expanded Poetics (http://www.centreforexpandedpoetics.com/) is a creative research and writing laboratory for the interdisciplinary study of embodiment, structure, form, and fabrication. Coming in highly anticipated from enigmatic poet and classicist Anne Carson, Float is a treat from the moment it is picked up. The book consists of twenty-two individual chapbooks which “float” (hence the title) inside of a transparent case. The off-kilter presentation is mirrored in its contents, as Carson’s work is ever fragmentary, ever startling, ever prancing towards truth. Though each chapbook is technically isolated and meant to be read in any order, there is a surprising coherence to the varied themes. The subjects shift from memory to loss to icebergs to Francis Bacon, yet constant throughout seems to be the concept of translation, whether it be language to language—she is a professor of Classics after all—or experience to language, the chief concern of the poet. Anne Carson is a favourite of many at Librairie D+Q, and with Float has delivered not only an astounding work of poetry, but a tilt on what we expect from a book as artifact. Pour le prochain club de lecture francophile de la librairie, nous lisons Maman Sauvage de Geneviève Elverum, également connue sous le nom de Geneviève Castrée lorsqu'elle dessine. 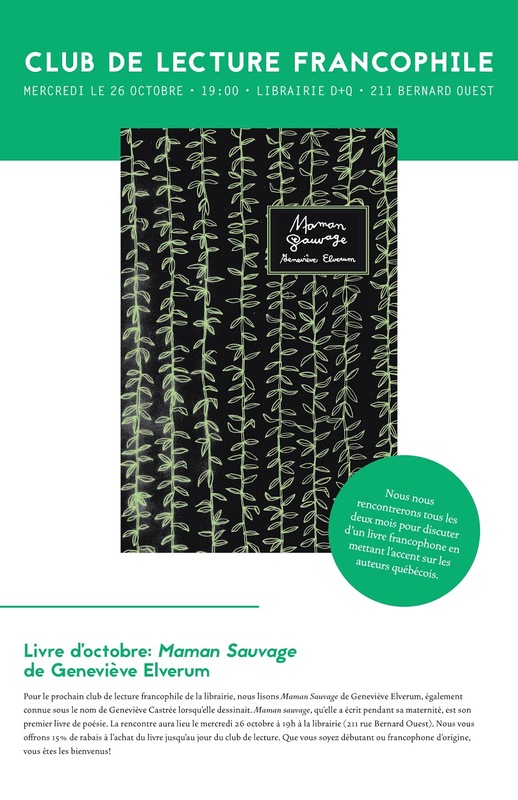 Maman sauvage, qu'elle a écrit pendant sa maternité, est son premier livre de poésie. La rencontre aura lieu le mercredi 26 octobre à 19h à la librairie (211 rue Bernard Ouest). Nous vous offrons 15% de rabais à l'achat du livre jusqu'au jour du club de lecture. Que vous soyez débutant ou francophone d'origine, vous êtes les bienvenus! Illustratrice, auteure et musicienne, Geneviève Elverum a d'ailleurs publié la version anglophone de son roman graphique Susceptible avec Drawn & Quarterly. L'auteure vit sur une île de la côte Nord-Ouest des États-Unis avec un homme, une petite fille et un chat. La poésie d'Elverum fait cercle autour des petites histoires du quotidien, celles des jours de pluie où elle aimerait dire "ta gueule" au chat, ou bien les lendemains de rêves inquiétants dans lesquels elle adopte un perroquet et que les vitamines pour oiseaux coûtent trop cher. Au fil des emplettes et des tracas, des gâteaux qu'elle ne fera finalement pas, Elverum nous raconte sa grossesse dans une prose simple et humaine. Si elle sort parfois de sa tanière, c'est en se méfiant des autres, mais peut-être aussi d'elle-même. Maman Sauvage, c'est donc 9 mois pluvieux et pas de permis de conduire, avec une petite Agathe "minuscule, délicate / tortellini" qui met un joli point final à la succession poétique. Its unearthly sceneries are inspired by Victorian scientific and botanical illustrations and if you are familiar with Ernst Haeckel, you will most certainly be able to sense his influence. Browsing through these pages, one feels like they are taking a relaxing stroll amongst surreal minerals, plants and wildlife. Escape to this untouched nature, outside of time and space and--wait, is that an air conditioner? Will you spot all of the items that are hidden throughout the book? Most of all, can't you wait to give colours and life to these empty landscapes? Also, don't forget to brag about your masterpiece when you're done! We are more than halfway through October, which means that the dark descends upon us early, and the cold is setting in. I don't know about you, but rather than reaching for cheerier fare, I'm inclined towards bleaker reading as autumn wanes. What better suited to my purposes than Frances Wilson's recent biography of renowned nineteenth century opium-eater, murder-obsessed journalist and literary legend Thomas De Quincey? 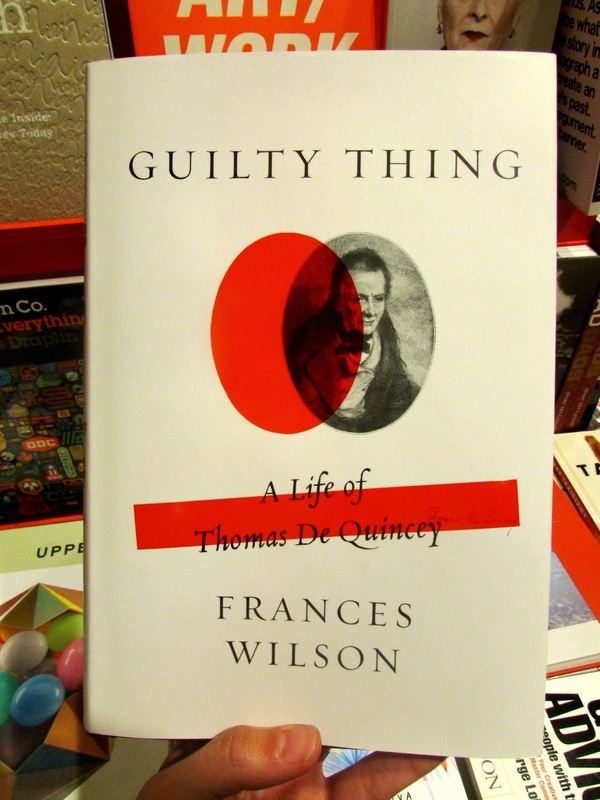 Guilty Thing: A Life of Thomas De Quincey has received high praise from The Guardian, the Literary Review, and The Times, among others. In a piece for The New Yorker, Dan Chiasson calls Wilson "a biographer with a De Quinceyan eye for pattern, and a sharp sense of the ironies that made her subject’s life at once so rich and so depleted". Guilty Thing unravels De Quincey's vast intellect, follows his obsessions, and re-animates his literary spirit, which, it should be recalled, greatly influenced an impressive array of writers, including Borges, Dickens, Nabokov and Wilde. 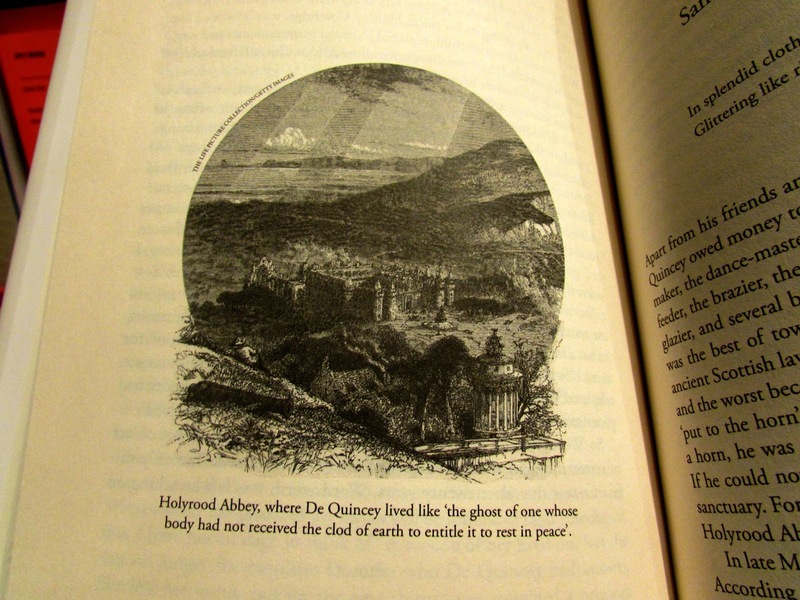 The text in the above image reads: Holyrood Abbey, where De Quincey lived like 'the ghost of one whose body had not received the clod of earth to entitle it to rest in peace'. I hope this will pique your gothic sensibilities as it has mine. Happy October! New from one of our favourite small presses, the Dorothy Publishing Project, is a bizzaro collection of short stories by Jen George, entitled The Babysitter at Rest. The eponymous short story, which previously appeared in BOMB Magazine, tilts and sears through a gratuitous party scene populated with odd and earnest characters, including a silver-haired pervert and a roommate named "Horse". George's stories at times border on farcical, but at their core lie careful examinations of being young, female, lost, unfulfilled. These five stories are hilarious in their reckless abandon, yet there is a discipline to the weirdness, a cool head recounting the surreal. The Babysitter at Rest is told in a soft-psychedelia, and is sure to charm your socks off! 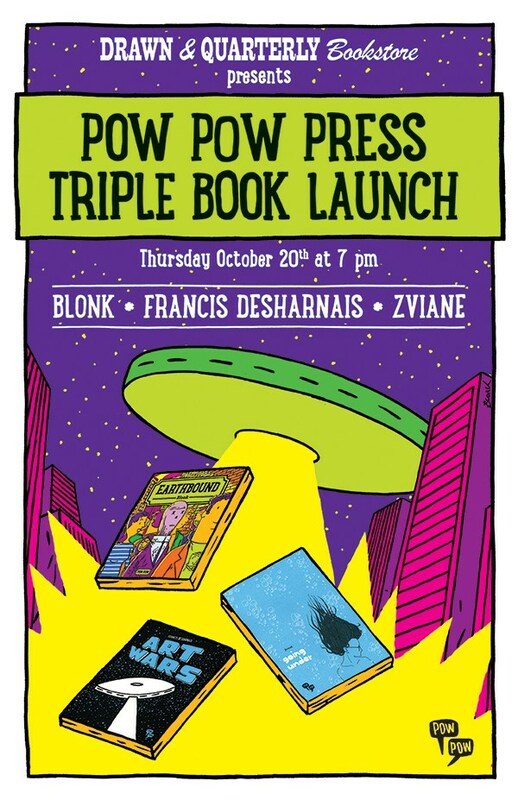 Pow Pow Triple Book Launch! Pow Pow Press will be launching Art Wars, Earthbound and Going Under at the Librairie on October 20th at 7:00 PM! Join us for an evening of fine comics, reasonable wine drinking, public readings and book signing. Authors Francis Desharnais, Blonk and Zviane will proudly present the new brand new English translations of their respective books. Thick yet charming accents are to be expected. The event starts at 7pm and seating is limited – so come early if you don't want to be stuck in the children's section! Zviane: Winner of the 2014 Joe Shuster Award for best Canadian cartoonist, Zviane studied music at Université de Montréal before getting sidetracked by her growing interest in comics. She is the author of For As Long As It Rains, also from Pow Pow Press, as well as the popular L'Ostie d'chat series which was first published as a web cartoon. Apnea was awarded the Bédéis Causa for best album of the year, when it was originally published in French in 2010. She currently live in Montréal. 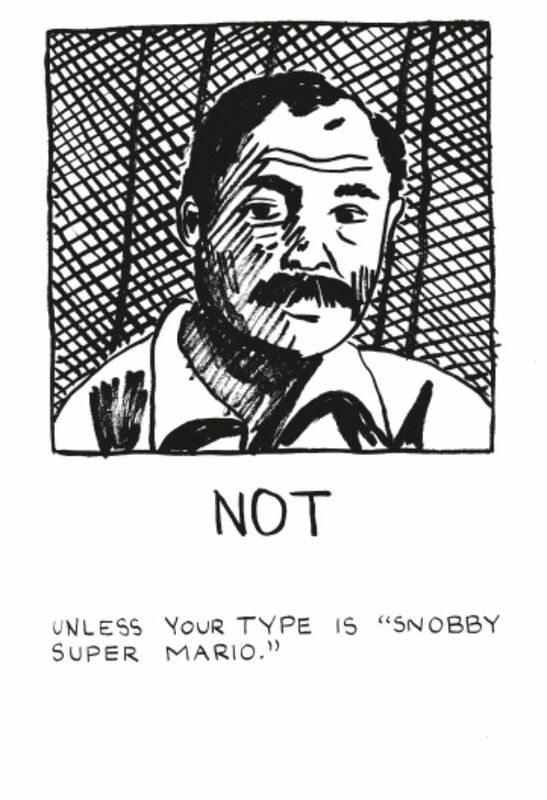 Blonk: Jean-Claude Aumais has been publishing indie zines under the pen name Blonk for more than a decade. His first graphic novel, Earthbound, was published in French in 2014 – earning him the Réal-Fillion Award for best debut in early 2015. He currently lives in Laval, Québec, where works as a graphic designer. 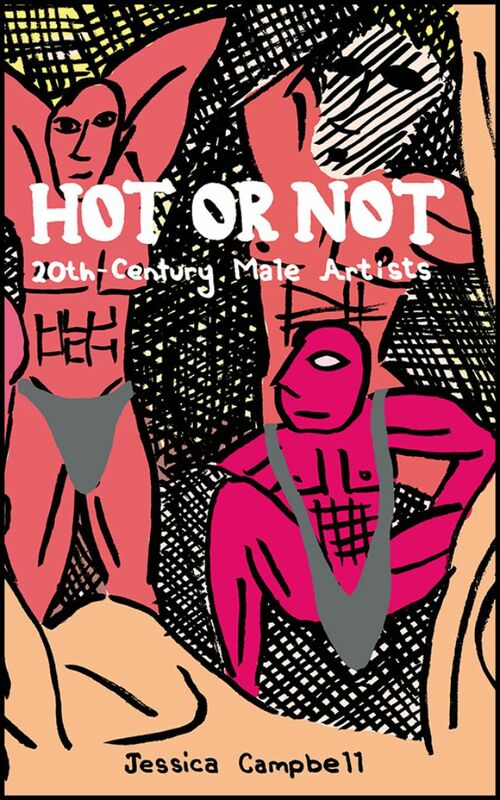 He is currently working on a second book for Pow Pow Press. Francis Desharnais: Francis Desharnais is the author of Burquette – a popular comic strip which has been adapted as an animated series by the National Film Board of Canada, since its initial publication in 2008. Based in Québec City, Desharnais is also known for his work on the Motel Galactic trilogy as well as Salomé et les hommes en noir and Chroniques d'une fille indigne. He is also a member of Groupe Kiwistiti, an animation collective which he co-founded in 1999. Join us at Librairie Drawn & Quarterly on Friday, October 14th for an evening with American writer Chloe Caldwell, who will be launching her brand new essay collection, I’ll Tell You in Person. 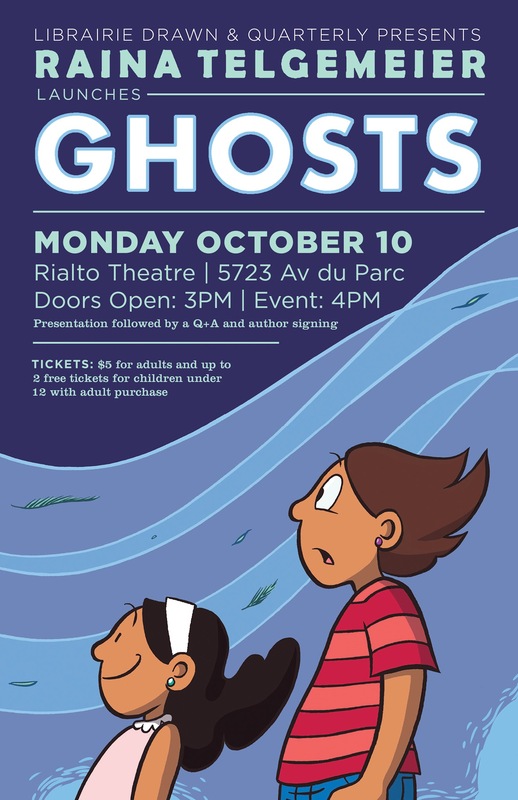 Accompanying Chloe will be Montreal writers Fariha Róisín and Karissa LaRocque, and we’ll also have a short Q&A on stage. CHLOE CALDWELL is the author of three books, I’ll Tell You in Person (CoffeeHouse & Emily Books, 2016), the novella Women (SF/LD, 2014) and the essay collection Legs Get Led Astray (Future Tense Books, 2012). She teaches creative nonfiction writing in New York City and online and her work has appeared in Vice, Lenny Letter, Salon.com, Nylon and many other outlets. KARISSA LAROCQUE is currently an MA candidate in English at Concordia University. 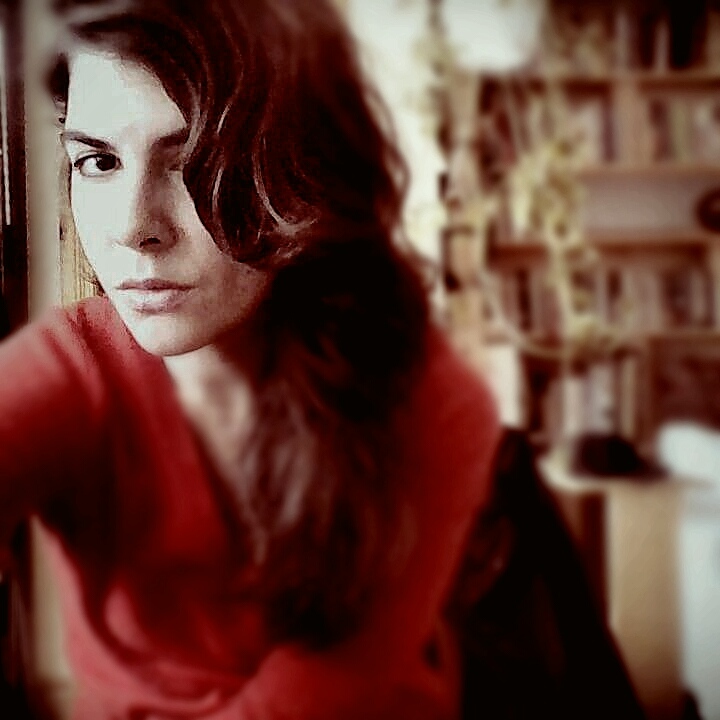 She is involved with the Spectra Collective, Headlight Anthology and Off The Page Literary Festival. 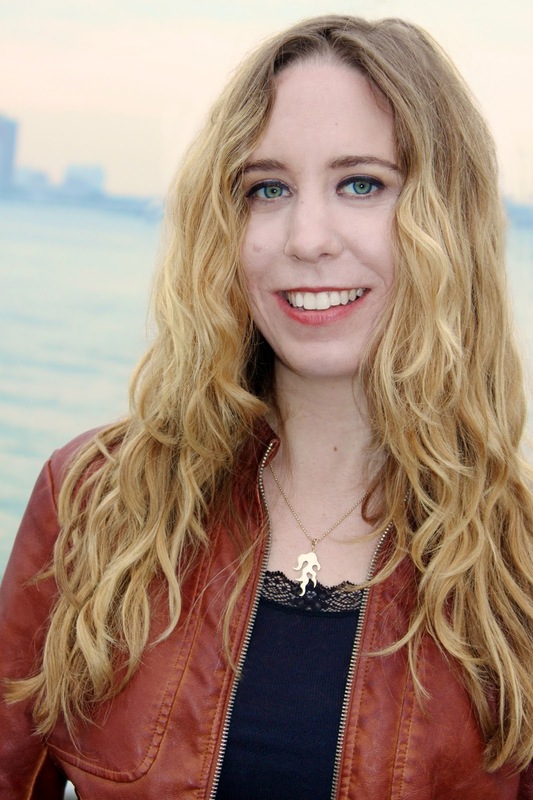 Her work has been published in The Dalhousie Review, GUTS Magazine, 7Mondays, Zettel and elsewhere. Like every queer on the internet, she too has Instagrammed a picture of herself reading Chloe Caldwell's novella "Women" in her underwear. This event will be hosted by Metatron’s GUILLAUME MORISSETTE. Doors at 7 pm, starts at 7 h 30 pm. Out today: Shigeru Mizuki's Kitaro Meets Nurarihyon! It's the second volume in a series of seven, so make some space on your book shelf. If you're not familiar with Mizuki's classic yokai (Japanese folkloric monster) stories, it's a perfect time to get caught up starting with The Birth of Kitaro which came out earlier this year and explains Kitaro's mysterious origins. In this volume, our hero returns along with his his father, the eyeball Medama-oyaji, and perpetually broke frenemy Nezumi Otoko. The trio battle evil yokai, pal around with friendly ones, and generally fight to keep peace between the supernatural realm and humans. Kitaro Meets Nurarihyon also continues translator Zack Davisson's ongoing history of Kitaro, and builds on the "who's who" of yokai from the first volume in the end pages. ...but not to worry, he redeems himself from these occasional bouts of disloyalty by defending Kitaro when he needs it most. One whiff of the putrid breeze wafting from Nezumi Otoko's filthy robe sends enemies reeling. Stink as a secret weapon - genius! Mizuki's art is always such a treat. Check out this full-page panel of Sara Kozo, a 350 year-old, many-toothed, yokai with a knack for songwriting, and a penchant for sweets and amusement park rides. Careful though, he's also got a nasty temper, and an especially foul special attack, as Kitaro finds out the hard way. Another particularly creepy yokai is Odoro Odoro, a formerly human scientist whose research on baldness leads to his transformation into a demon with long, tendril-like hairs for sucking blood from his victims. Speaking of blood-suckers, Kitaro also has a run in with the most famous vampire of all: Dracula himself makes his way from Transylvania to Osaka, giving Odoro Odoro some competition. The stories taken as a complete narrative are full of fun and adventure, as well as some genuinely scary encounters, but what makes them really shine are the details. There are so many great panels, it's worth slowing down for multiple readings to catch all of the hilarious moments and beautiful drawings. For example, you'll notice that Medama-oyaji has a special fondness for taking leisurely soaks in cups of tea. How can a disembodied eyeball be so cute and charming? Mizuki makes the magic happen with masterful storytelling skill. Get to know Kitaro, and you're sure to fall under the spell of the one-eyed yokai boy as generations of manga fans have done. Unravels the secret history of the most popular video game of all time, chronicling its development in 1980s Soviet Russia and the big money bidding wars and backroom deals that ensued once it emerged from behind the Iron Curtain. An affectionate celebration of fandom with weird and funny interconnected stories that star two young women who love cosplay and making DIY videos for their Youtube channel. Set in an imagined medieval world that intertwines myth and fable it's a dark yet enchanting epic that investigates the rich and sometimes troubling history of storytelling, while it reveals its ultimate power. The third and final book in a stirring series that recounts the events of the historic civil rights movement through the eyes of Congressman John Lewis who lived through it. In the second volume of this memoir, a young Sattouf goes to school and attempts to assimilate into Syrian life under the dictatorship of Hafez Al-Assad, meanwhile enduring domestic discord and the pains of adolescence. If you don't know where to start or you'd prefer to start with all of them, this is the book for you! A beautiful edition and a fantastic selection of some of the most interesting work in comics this year. Online ticket sales are now closed, but tickets are still available in-store and at the door!